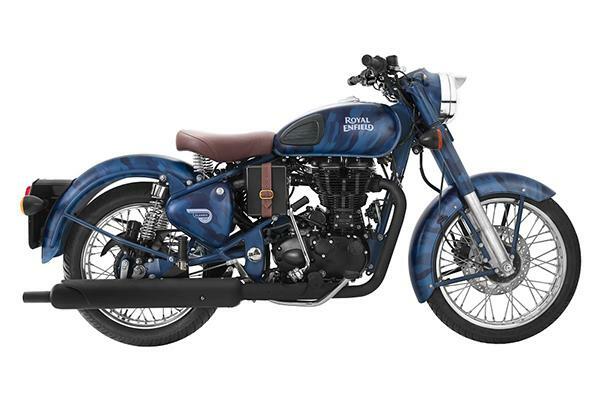 Royal Enfield, the subsidiary company of Eicher Motors recently launched its online store where Royal Enfield bikes, gears and accessories were sold. 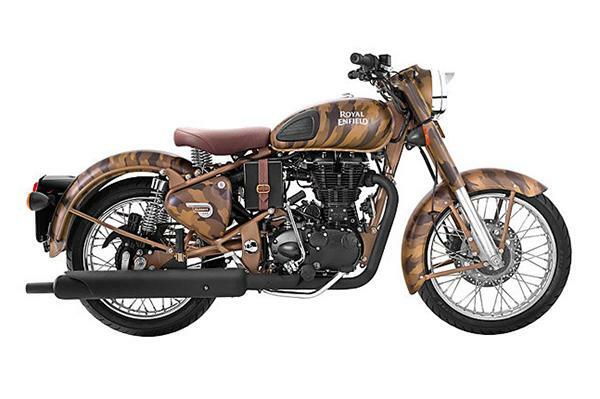 As you can see in the photos, the company has added 3 new limited edition motorcycles which are based on Royal Enfield Classic 500 and it shall be sold exclusively on its exclusive online store, July onwards. There are three brand new camouflage-inspired motorcycles. Out of these, only the Royal Enfield Desert Storme Despatch and the Squadron Blue Despatch would be sold in India. 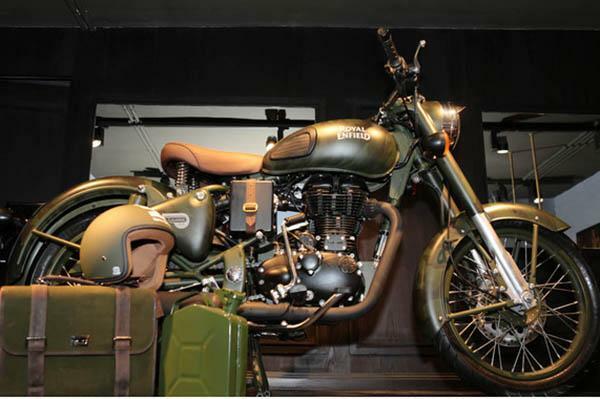 The Battle Green color of Royal Enfield ( the one that matches the motorcycles used by the Indian Army), would be sold in Royal Enfield’s export markets only. Only 200 models of each limited edition motorcycles are up for sale. Talking about the origin of the name “Despatch” – It is the time when Royal Enfield bikes were used to relay sensitive defence information from the battlefield to the HQ. It was necessary for the motorcycle to stay camouflaged to stay themselves protected from its enemies. Prices for the limited-edition Royal Enfield models have not been announced yet, it would be unveiled in the middle of July when the bike goes for sale. These limited edition RE bikes shall be sold with genuine leather seat and leather buckle which support airbox. You can also observe a matte black paint scheme that is seen on engine and silencer unit of the bike. The chassis of these bikes would have same colour as the respective motorcycle. The Royal Enfield riding gear collection would go on sale in 50 international markets starting this summer. The brand is also working toward bringing in two new motorcycles in the 250 to 750cc segments by 2016.